To believe or not to believe? That is the question. In May 2011 I caught a red-eye flight from Honolulu to Seattle. I hate red-eye flights because at 6’2″ I just don’t sleep on airplanes (at least not without powerful chemical assistance). Another thing I generally don’t do on airplanes is engage in long thoughtful conversations with the stranger who happens to be stuck sharing my arm rest for a few hours. Maybe it’s the lack of privacy inherent in airborne conversation, or maybe I’ve got work to do, or maybe I’m just looking for a break, or maybe I’m just anti-social, or maybe it’s just that the odds of sitting next to someone truly interesting on an airplane is almost nil. Whatever. I generally travel with little to no expectation of striking up a heartfelt conversation with my temporary cabin mate. This flight from Hawaii was different. As we flew through the night, almost everyone in the cabin nodded off while I read a book in lieu of even trying to sleep. Dude to my right was doing some super cool technical things with his iPad, which caught my interest and sparked a short exchange. In the introductory pleasantries, I learned that he was a Korean translator returning from Seoul to his home in Seattle. He learned that I was a Computer Science professor at Brigham Young University headed home to Utah. That’s how we launched a three hour discussion about life and religion. As I meet people and identify myself as a professor at BYU, the religion card is immediately on the table. It’s not uncommon for a new acquaintance to immediately ask, “So, are you a Mormon?” I’m very comfortable discussing my faith with a perfect stranger (fringe benefit of my full-time missionary service), but it’s rare that I meet someone who is ready, willing, and able to engage in a truly open and honest discussion about their own religion. This was my lucky night. I found my new pal to be incredibly intelligent and articulate, a great conversationalist. He started asking about my faith and religion, and I was happy to share. Turns out he also had a personal religious journey that he was willing to share with me. My new friend spent a large portion of his adult life as a believing and practicing Evangelical Christian, but no longer practiced or believed in Christianity. I’m perpetually fascinated by the motivations for individuals to embrace and/or discard their religious beliefs. Here was an intelligent and articulate former Christian willing to honestly explore the space with a total stranger somewhere over the Pacific on a random night in May. The most significant aspect of his story related to what he referred to as his former “devotional” reading of the scriptures as opposed to what I’ll call an “academic” or “literary” reading. He became a Christian during college as he sought answers to the big questions of life. As he began to read the Bible, he found answers to many of his most important life questions. More importantly, he felt a good spirit when he read it. As he grew in his faith, regular Bible study became a form of daily devotional, where reading the scriptures became a critical way of feeling close to God. He explained that for maybe 10 years, his Bible reading was largely devotional in this way — don’t over intellectualize it, don’t think too much about the inherent inconsistencies, focus on the good feelings, remember that God loves me and sent His Son to save me. Somewhere along the line, he began to approach the scriptures more as an academic exercise than an act of devotion to God. Looking at the Bible from a distance, perhaps more as a critic even than as an adherent, he found that the feeling of closeness to God no longer accompanied his study to the same degree it had in the past. At some point he effectually intellectualized himself out of his Christian faith, distanced himself from the Savior that he had formerly embraced, and settled into an essentially agnostic state, content to find meaning in personal and professional pursuits independent of organized religion. Over the past two years, I’ve thought about this conversation often. In my mind’s eye I picture him sharing his earnest and humble story by the light of the reading lamps, the rest of the cabin dimmed. He’s eager to talk, but there’s a certain melancholy to his story, almost a confession of lost innocence, a reminiscence of a more joyful past unencumbered by tough questions about his own faith. He never claimed to know the answers. He didn’t assert that he knew Christianity to be false. He was humble and thoughtful in examining his own journey. Reflecting back on this indelible interaction has often led me to thoughtfully consider my own belief in the Bible and the Book of Mormon, and the times when I’ve wrestled in my heart and mind over issues of faith. Why do I believe? When my faith seems weak, what factors contribute to that weakness? When my faith seems strong, what factors contribute to that strength? If my faith is grounded in truth then why do I so often struggle? If my faith is grounded in falsehood, then why does it fill my heart with joy when I live it? What about you? Why believe? Why not? Let me first say that Scott Jarvie is a freak. He is an incredible photographer, and a super nice guy to boot. Check out his stuff and I think you’ll like what you see. 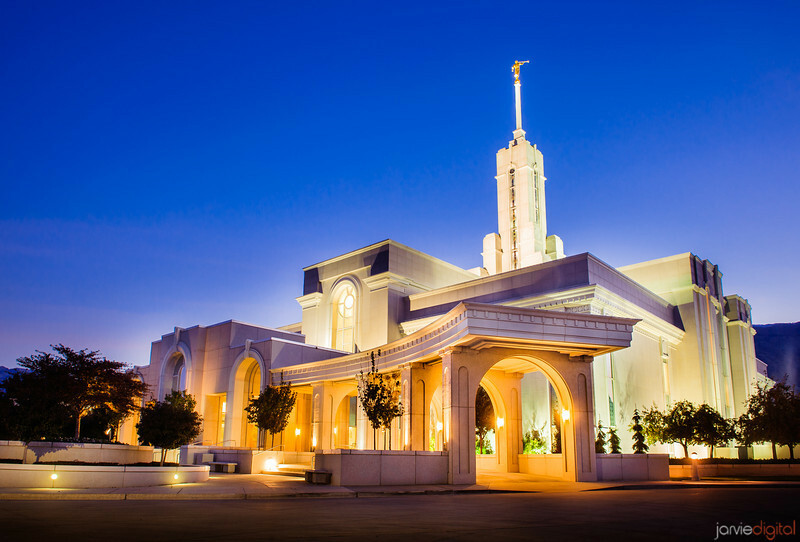 Scott does a ton of weddings and other portrait shoots around the world, but he loves to photograph LDS temples and other places of worship. In fact, he’s got a project up his sleeve that I’m pretty excited about, involving a couple of high quality books featuring his photography of religious places. I think there may be a Kickstarter project in the near future somewhere, and I’ll send up a flare when he launches that. Go visit Jarvie’s page. Dig his temple shots. Buy his books when they come out. Thank me later. For a number of years I’ve been blogging on “Dr. K’s Software Ruminations,” my blog ostensibly dedicated to all things technology. Problem is that often my brain asplode with other stuff (say religious stuff) and no decent place to vent it. This drives me (and my immediately family) crazy. This is not good. In an attempt to keep the peace in the family and also to quiet the voices in my head, I’ve launched the Charles Knutson Blog Network, which at present consists of three blogs: this one (“Brother K’s Gospel Ruminations”); the aforementioned tech blog (“Dr. K’s Software Ruminations”); and a catchall blog about life, politics, travel, or whatever else strikes my fancy (“Chuck’s Life Ruminations”). I am a practicing (and believing) member of the Church of Jesus Christ of Latter-day Saints (commonly referred to as the “Mormons”, although I prefer “LDS”) so my own faith constitutes the primary topic of this blog. Understand that I am, for the most part, writing from an LDS perspective to an LDS audience using LDS scripture (which is a superset of traditional Christian scripture, which is itself a superset of traditional Jewish scripture). Having thrown down this caveat, I’ll resist the urge to apologize over and over again, or to explain where one can find the book of Mosiah (hint, it’s not in the Bible). I welcome comments and discussion. If you’re sick of my religious rants in this space, feel free to visit my other blogs of sundry rumination (top right, “Other Sites”).